Discovery Communications' corporate affairs and communications department spearheads Discovery Impact, the company's global CSR initiatives. Discovery Communications' corporate affairs and communications department spearheads Discovery Impact, the company's global CSR initiatives. Every year, November and December mark a frentic volume of Discovery Impact activities, and 2012 was especially robust. The team coordinated campaigns for food drives, winter coat collections, Veteran's Day, Animal Planet's ROAR initiative, Superstorm Sandy relief, and the company's annual Adopt-A-Family program. For the global communications and corporate affairs team, the highlight of this annual season of giving is Discovery Impact: Creating Change. 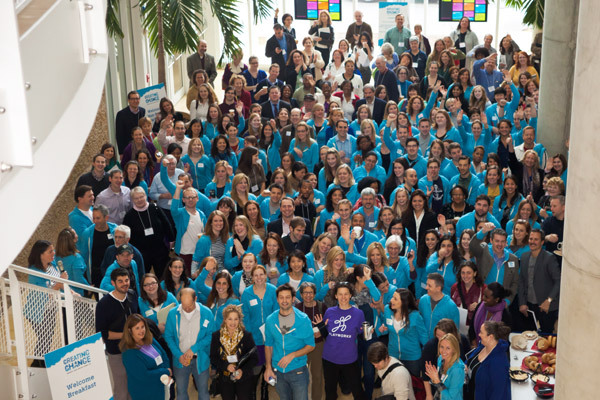 Discovery Impact: Creating Change Marathon and Conference is an annual pro-bono event that uses the power of the company's greatest assets – its talented employees – to give back to nonprofit organizations through skills-based services. This November, Discovery's global headquarters in Silver Spring, Maryland hosted the third annual event, which expanded to the company's London office for the first time. More than 200 employee volunteers from across 25 business divisions worked on 32 projects during the 12-hour marathon to complete nearly 3,000 volunteer hours. The donated services fulfilled myriad needs for the nonprofit partners including design, print collateral, marketing and communications strategies, PSAs, and IT infrastructure support requests. Discovery also hosted a conference that ran in tandem with the marathon featuring speakers who shared knowledge and best practices through seminars, round table discussions, and one-on-one consultations in topics including PR, social media, networking, corporate partnerships, and branding. The Creating Change initiative equips Discovery's nonprofit partners with media plans (traditional and social), press release templates, style guides, media training, and a variety of PR dos and don'ts, which they can immediately activate to yield returns for their respective organizations. Combined with the marketing collateral designed by the company's in-house creative staff, these tangible products give way to the intangible – an outpouring of gratitude from the nonprofit partners, a sense of pride from Discovery staff, and connection between the two that extends beyond the company's walls during the 12-hour event.